A team of scientists, including Steve Trewick from the Allan Wilson Centre for Molecular Ecology and Evolution, is throwing new light on the biological evolution of the Chathams. Steve Trewick leads the biologists in the team of 22 scientists who have been researching the islands. The project is funded by an $870,000, three-year Marsden grant from the Royal Society of New Zealand. Their Chathams Emergent Ark research survey breaks new ground internationally. - Simon Collins, NZ Herald The group's work and some of their discoveries were the subject of a recent special feature in the New Zealand Herald, titled 'Sisters' Secret is Out', by science journalist Simon Collins. 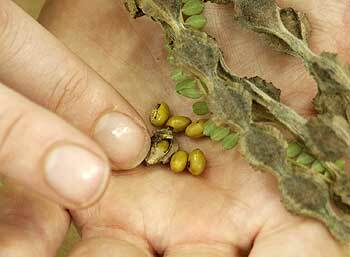 On one of the tiny rocks called the Sisters, north of the main Chatham Islands, scientists found two kowhai seeds, writes Collins. 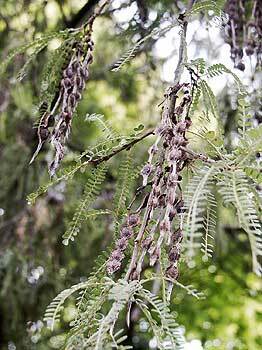 The find, last week, was surprising because kowhai trees are rare in the Chathams. But seabirds are abundant, and the kowhai seeds were found between nests of the northern royal albatross. Massey University biologist Steve Trewick believes the seeds were probably spotted by an albatross at sea, swallowed, and regurgitated on the Sisters, along with fish caught on the bird's foraging expedition to feed its chick. On this remote rock stack in the ocean Trewick had stumbled on a crucial piece of evidence in a 150-year-old scientific debate which still rages. It was the kowhai's plant type, Sophora (formerly Edwardsia), whose widespread distribution around the Southern Hemisphere inspired Charles Darwin to think about how plant and animal species might have spread around the globe. Contemporaries of Darwin believed the only way to explain such patterns was that there must once have been land bridges between what are now separate land masses, during ice ages when the sea level was lower. But Darwin believed in the role of wind, ocean currents and seabirds such as the albatross. The work of the research team of biologists and geologists appears to confirm his belief. Since Darwin's time, writes Simon Collins, scientists have recognised that plants and animals can cross narrow seas to colonise new land but no one has been able to show that plants and flightless animals could cross huge distances of ocean - such as that between New Zealand and the Chathams - without land bridges or human intervention. However another scientific revolution, genetics, has given biologists a new set of tools to analyse the differences between species of living things. Steve Trewick says analysis shows that the plants and animals of the Chathams are genetically similar and in some cases identical to those on the New Zealand mainland, despite sometimes different appearances. There are communities of plants that are specific to the islands. Chathams forget-me-nots really do look different. The pigeons are a bit bigger, he says. But a lot of the plant species are called a different species because they are on an island. Steve Trewick believes that beetles, wetas and other creepy-crawlies probably stowed away inside logs which were then washed out to sea and blown eastwards by storms. Plant seeds may have drifted for days on the ocean and germinated when they reached land. Others may have been swallowed by seabirds and carried to their nesting places, like the kowhai on the Sisters. What are now flightless birds may have once had the power of flight and reached the Chathams and the New Zealand mainland, then evolved to lose their wings because there were fewer ground predators. The Herald reports that Steve Trewick's analysis shows a takahe species once found in the North Island was genetically closer to a flying ancestor species than it was to the modern South Island takahe, which must have evolved independently from its flying ancestor. Trewick concludes new characteristics - such as those caused by changing from flight to ground-dwelling - can happen much faster than previously thought.